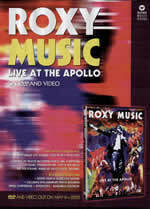 Roxy Music's final show at Hammersmith Apollo London was recorded for DVD & VHS release. The concert was released in Europe on DVD & VHS on 6th May 2002 and in USA on DVD in September 2002. 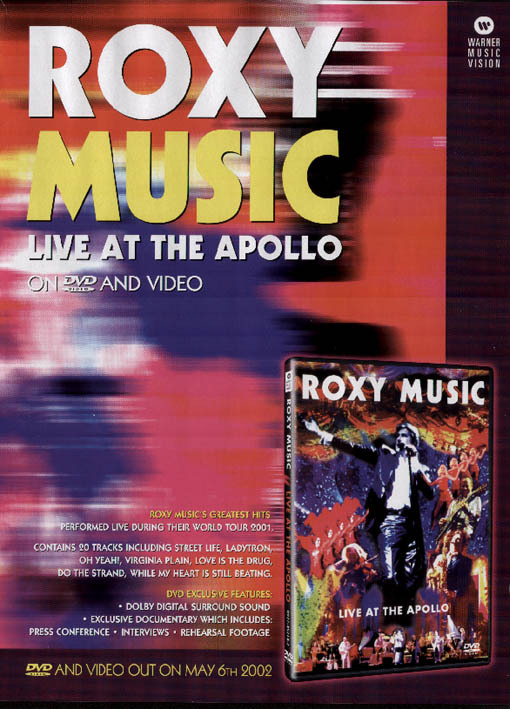 The DVD has a bonus documentary with interviews with Bryan Ferry, Phil Manzanera, Andy MacKay, Paul Thompson,, Chris Spedding and footage from backstage and at rehearsals for the tour.